For most people, aging brings a new set of challenges. New health problems may affect your ability to live independently, financial challenges make it tougher to maintain your lifestyle and adult children moving to faraway places may make you feel less connected to your home. Some people move every few years or even more frequently, while others remain rooted in the same location for decades. But for many people, there comes a time in old age when it becomes necessary to move. While relocating is never easy, moving as a senior carries its own difficulties. If you or a loved one is moving into an assisted living or memory care facility due to declining health, the very reason for the move will likely make the process even more difficult. A lifetime of accumulated possessions might be squirreled away in your home. And if the move is due to financial stress, moving itself can be expensive. There are many ways to make a move go more smoothly. Knowing when to move, making the right choices about having a family member move in with you and doing a little advanced planning for a new home and reducing the load beforehand can significantly reduce the stress involved. Over the years, you’ve probably felt like your home’s footprint just wasn’t big enough. Whether the closets were too small or the number of cabinets too few, you may have dreamed of relocating to a larger space. But as a senior, that once-too-small abode might be more space than you need or want. At the same time, the sentiment of moving away from the home where you raised your family or enjoyed gardening for decades pulls at your heartstrings, leaving you unsure about whether or not downsizing is the right decision. Anytime safety or physical limitations like the inability to live alone or use stairs exist, it’s time to consider relocating. But there are a few other less obvious indicators for seniors to downsize, too. Jamie Novak, a professional organizer and author of “Keep This, Toss That,” says having rooms you rarely—or never—enter unless it’s to air them out or vacuum now and then is a sure sign it’s time to downsize. Sure, having a bit of extra space to stash trinkets and holiday décor is handy. But maintaining a large house with multiple unused bedrooms goes beyond having an extra closet or cubby. “It shouldn’t be difficult to keep up with the maintenance of the home,” says Novak. Granted, no one expects you to look forward to tasks like mowing the lawn or giving the fence a fresh coat of paint. But if these and similar projects are becoming physically difficult to complete, it’s probably time to discuss options that require less upkeep. “Additionally, having to pay for help to accomplish the tasks is another indicator that it might be time for a smaller space,” says Novak. Not able to take in as many of your grandkids’ soccer games or dance recitals as you want? “If you feel isolated in your home, are too far from family or assistance, or all your friends have moved away, then you might want to downsize and move closer to loved ones,” suggests Novak. But having too many odds and ends is a clear sign you’ve got too much space to fill. “And downsizing will force you to pare down and prioritize what you actually need to hang on to,” adds Novak. Your home’s value may have appreciated to the point where it’s more profitable to cash it in than hang onto it. Novak suggests consulting two to three realtors to have a market analysis performed and explore both your selling and buying power. Once you’ve made the decision to downsize, you should consider many factors in choosing a new place to live, including safety features, convenience and whether your health might deteriorate. But no matter what amount of space you downsize to, the feel is what’s most important, says Rob Krohn, the franchise marketing manager at Epcon Communities, a builder of 55-plus communities. He cautions against settling for a property that doesn’t feel comfortable. “You want your new, downsized space to feel like home, even if it’s smaller than what you’ve be used to for years,” he says. Of course, you want to be near family members or reliable friends. But you also want to look for a new neighborhood that, if possible, is close to amenities and services like physicians, shopping and restaurants. Opportunities to build your social network near your new home is another important consideration. A community that promotes a more active lifestyle is a bonus, says Krohn. When you have walking trails, a park, a pool or a community center, you’re more likely to get out and enjoy life in your area. Krohn notes that even if they’re not a problem today, having to navigate stairs can become a burden as you age. As you walk through any home you’re considering, imagine trying to navigate the spaces in a wheelchair. Are there thresholds to cross? Wheelchairs require a minimum of 32 inches but 36 inches is recommended. Hallways should be at least 36 inches wide. If possible, there should be extra floor space so a wheelchair can turn around. It takes about 60 inches of space for someone in a wheelchair to make a 180-degree turn. If you’re in a home with stairs at the entrance, you may need to put in a ramp. They start at about $400 for a 4-foot ramp that’s 36 inches wide; an 8-foot ramp is about $800. If your home does have stairs, a chair lift is another option, which would generally cost between $1,500 and $4,000, or a home elevator, which could cost $15,000 or more. Think about the personal care needs of your bathroom. Even though you may have no trouble walking right now, could you get into the shower or on the toilet from a wheelchair or with the aid of a walker? “A roll-in shower and an elevated toilet — both with grab bars — provide a long-term solution,” says Krohn. Consider the height of the countertop for today and tomorrow. “If down the line you or your spouse require a wheelchair-accessible home, vanities with a lower sink and room for the chair to fit underneath might be options to consider if building a new home or remodeling a space,” says Krohn. Grab bars in the tub or shower and beside the toilet are inexpensive ($40 to $140) and potential lifesavers. Likewise, low-cost no-slip adhesive strips decrease the risk of slippery bathroom areas and steps. Also consider a walk-in bathtub, with a door that opens so you don’t have to step over the side to get into the tub, or a bath lift, where a tub-level chair lowers you into the tub. An anti-scalding device could also be useful for preventing accidents. These inexpensive devices (about $40) automatically turn off the water if it gets too hot. They can easily be installed in the bathroom sink, shower, tub, or kitchen sink. An alternative solution: Turn down the thermostat on your hot-water heater so the water never gets above 120 degrees Fahrenheit. A hospital bed or adjustable bed could make you much more comfortable. 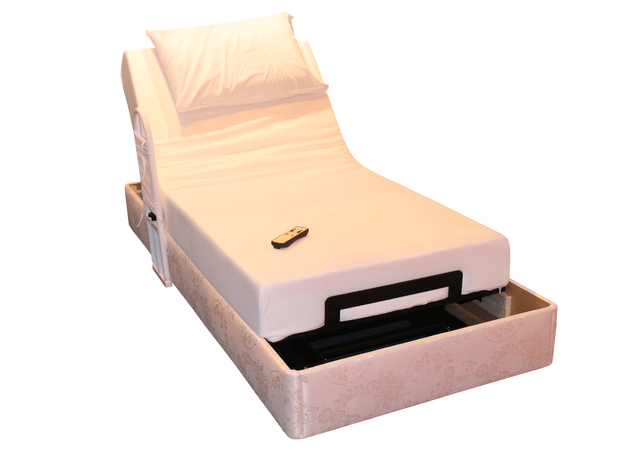 These enable you to raise or lower the head and knee area of the bed, as well as the level of the entire bed, either electronically or through the use of hand cranks. The flexibility of these beds makes life easier and more comfortable for someone who’s ailing. They generally cost $500 and up. A walk-in closet with no threshold is essential, but you should also be able to adjust storage space — like shelves that can be moved to a lower position, if necessary. You’ll also want light switches that you can reach from your bed. Krohn notes that drawers provide easier access for storage than cabinet doors. “And consider cabinets with pull-out drawers to make it easier to access small appliances, pots, etc.,” he advises. Anti-slip mats, often made of rubber or a similar material, fit under throw rugs to increase traction, greatly decreasing the chances of a fall. Of course, you can also solve the problem by simply removing throw rugs — as long as you don’t have slick, waxed wood floors, which also can be a hazard. Furniture bumpers: Clear plastic bumpers that fit over sharp furniture corners to soften the edges. Alternatively, remove sharp-edged furniture from the house. Unsteady chairs should be replaced as well. Special door knobs and window pulls: Older adults may not have the hand or arm strength to open a door using a regular knob. Arthritis can rob even a relatively strong person of the ability to grasp something hard enough to turn it. Consider replacing conventional knobs with easier-to-use lever door handles or look into an automatic door openers that open and close with the touch of a button or by voice activation. Accessible shelving: As people get older, the simple act of bending down or reaching up can become an ordeal. If possible, put extra shelves in closets, pantries, or cabinets at heights an older adult can reach without a struggle. If they’re in a wheelchair, or you anticipate they may be soon, adjustable brackets will enable you to change the height as needed. TV silencer: For older adults with hearing problems, this device automatically mutes the TV, stereo, or DVD player whenever the phone rings, so they won’t miss important calls. If you decide to move an elderly parent or other aging relative in with you, you won’t be alone: One out of every four caregivers lives with the elderly or disabled loved one he or she cares for. This arrangement can have many positives. If your parent or other loved one is still relatively healthy, they may be able to babysit or otherwise help around the house, contribute financially, and get to know your children in a way that would never be possible with only occasional visits. But it’s not right for everyone. It may be cheaper than putting the person in a nursing home (which costs about $80,000 per year on average) or an assisted living facility (about $43,000 per year on average), but you could pay a heavy price in terms of time, stress, fatigue, and strained relations. Take the time to consider the following nine questions when deciding whether to have someone live with you. 1. What kind of care will your loved one need? What is the person’s physical and mental condition and what chronic illness does he or she have? These are the first questions you need to answer. If they are still relatively healthy and independent, this may be the ideal time to move them in. They can become accustomed to their new surroundings and will initially require little care from you or other family members. Your kids will get to know them while they’re still healthy. 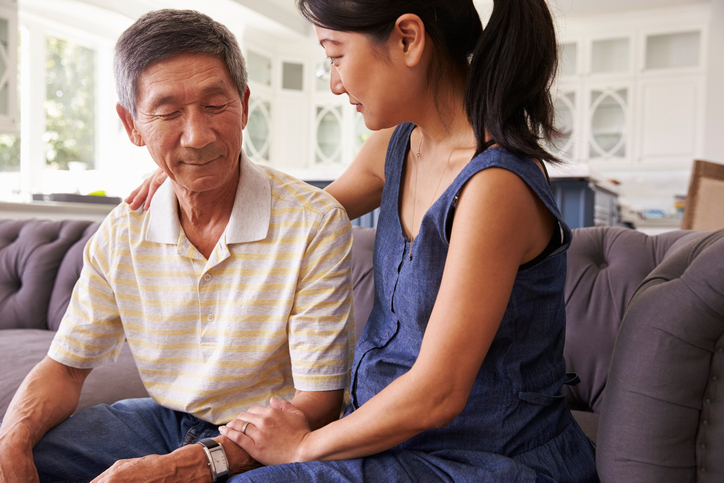 Even if an aging family member is just slowing down and there’s no specific illness such as Alzheimer’s or cancer to deal with, you still need to anticipate their future condition based on family history or personal history. Bringing someone to your home as an interim solution is also viable. It may be that they can live with you until their condition deteriorates to a point where they need assisted living or memory care. Start with a medical consultation. Before you make any major decisions about home care, the person’s doctor should weigh in. The doctor can tell you what kind of care they will need and whether it’s practical for them to live at home. 2. Do you have enough room? If you’re moving someone in you’ll need a bedroom, or at least a comfortable place for them to sleep or rest. If you don’t have a spare room, can you move family members or furniture around to make space? Is it feasible to build an extra room or an in-law apartment? Talk with them beforehand about what the arrangements would be. Consider space for equipment or supplies. Do you have room for a hospital bed (which is bulkier than a regular bed), commode, oxygen tank, or other medical equipment if needed? Think about accessibility issues. Do stairs and narrow hallways make maneuvering a wheelchair or walker difficult or impossible? Plan for bathing. For safety reasons, older adults who are weak or have balance problems might only be able to bathe in a bathtub. Others need a freestanding shower stall with handholds. Adaptations can often be made. Is there peace and quiet? Is your home calm and quiet? If not, can they tolerate all the action? Assess needs for privacy. Will the new arrangement give everyone in the family enough privacy? Can you accommodate overnight caregivers? Is there sleeping space for a paid overnight caregiver if needed? This can usually be in the same room as the older adult. 3. How much assistance and supervision can you provide? Be realistic about what you can and can’t do. Realize, too, that the level of assistance needed will most likely increase over time. Know your limits. If the person needs help with bathing, dressing, or going to the bathroom, are you comfortable helping? If they’re incontinent and the idea of changing a diaper makes you uncomfortable, you may need to find an in-home aide. On the other hand, maybe they’re just becoming more forgetful, and you’re really good at organizing their medications and helping them make sure to take them. Or perhaps you’re good at paperwork and can cut through red tape and help with their Medicare or health insurance forms. Consider your schedule. If you have a full-time job and young kids at home, consider the impact of taking in someone who needs a lot of assistance. If, for example, they need help getting to the bathroom several times every night, you could soon be suffering from a major case of sleep deprivation. You may be reacting to a health crisis they recently had, or thinking about the move as a preventive measure because they’re slowly losing the ability to take care of themselves. In either case, think about whether you have the time and energy to take this on. 4. How well do you get along? Look at the history of your relationship with your family member. If you enjoy each other’s company and can successfully resolve your differences, that’s a real plus. That doesn’t mean you can never argue or you have to be best friends. All families have some conflict, and if both of you can get over it quickly or simply agree to disagree, then you’ve already done much of the groundwork. You may also be able to bond with them in a new way and forge a happier new relationship as an adult. Your children will have the opportunity to get to know their grandparent or other family member better, or perhaps for the first time. If the two of you have never really gotten along, don’t expect the relationship to change magically now. When they visit you, if you’re grinding your teeth after an hour and feel like running out the door, then having them move in may not be a good idea. You may feel you’re doing the right thing, but if you’re both going to be miserable, it’s probably wiser to pursue other options first. 5. Does caregiving at home fit your daily routine? Consider your work and leisure activities. Do you have wiggle room in your schedule? 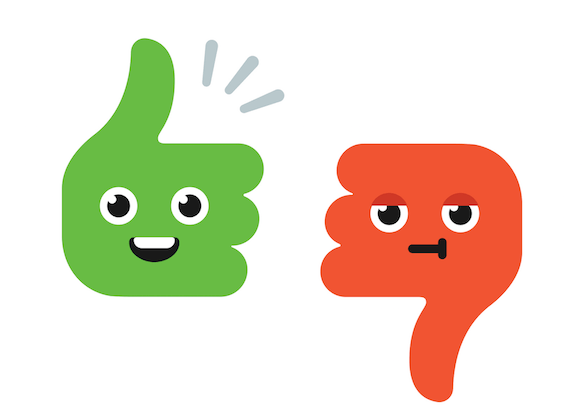 Are you OK with cutting back on your activities if necessary, including volunteer work or what you do for fun? Plan for getting the person out and about. Will you be able to manage getting them to medical appointments, to the senior center, or to visit friends and relatives? Will you need to drive them everywhere or can they use public transportation or paratransit? Are there reliable senior transportation or paratransit services your area? It’s important to remember that there’s rarely one perfect solution for providing daily care. For every family it boils down to weighing and balancing many factors to settle on the best option. Most families adjust to change over time. 6. Will your family member contribute financially? Moving someone into your home can be a financial drain, but it can also have financial benefits. Lighten your financial burden by having your family member contribute. Older adults often want to contribute to the household and can pay more than a nominal amount for food. Many pay rent if they can afford it, or pay for some or all of the renovations required to prepare your home. There’s no single right or wrong way to handle finances. Your family needs to decide what will work best for everyone. Come to a financial agreement with your family member before making the decision to have them move in. This won’t necessarily be easy, because money is an emotionally charged subject in most families. To avoid problems or resentments later, have open discussions about this up front. By pooling your resources, you might come up with a better living arrangement for everybody. Using the financial resources of both of you, you may be able to get a home that’s much more comfortable than either of you could afford alone. 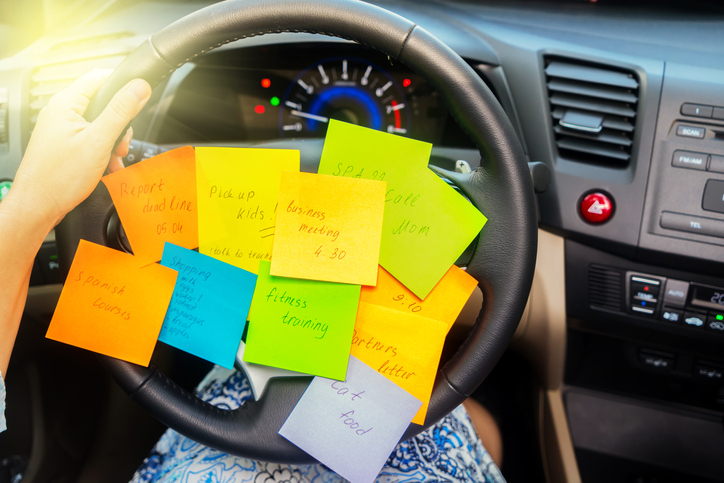 Will you have to cut back on your work hours or other commitments? In some cases, providing home care is only possible if you, your spouse, or another family member leaves a job, works reduced hours, or gives up other commitments. Can your family afford that? Consider paid caregivers. Caring for someone in your home is sometimes only possible with the help of paid caregivers, which can be expensive. Factor this into your budget or the budget of the person you’re caring for. Find out if you can get paid for the care you provide. Is your parent eligible for Medicaid? If so, you may be able to get a paycheck for the care you provide to them. Most states have a Cash and Counseling program that allows eligible elderly adults to “hire” a caregiver, which could include an adult child or other relative, for the care they are provided. The chosen caregiver usually receives an hourly rate that is less than the state’s hourly average for home care. 7. Will you and your family be able to adjust? Think about meals, noise levels in the house, what’s on the stereo. Will everyone’s preferences and styles be compatible? This may be an opportunity to try some new foods that everyone can enjoy. If your older relative needs to eat bland food and your family likes spicy food, you can put the extra salt and spices on the table to add individually to plates. If you have a teenager who’s used to making noise and playing loud music but Grandpa needs quiet at night, perhaps your teen can adjust by using headphones after a certain hour. If quarters are cramped, it may take a while to adjust to the loss of privacy and personal space. On the other hand, if you’re able to pool your resources and move everyone to a new, larger home, it can be a win-win situation for everyone. Your family may have to put off some vacations and leisure activities to take care of your parent or relative. If so, this is a chance for your kids to learn the importance of making sacrifices, however difficult, for the greater good of the family. 8. Will your elderly relative have a social network available? If they’re moving a long distance to live with you, they’re leaving their social network and friends. Most caregivers drastically underestimate how hard it is and how long it takes for someone to adjust to a new environment in a new town. If you and your spouse are at work and the kids are at school, that could mean a lot of alone time for your elderly parent. Rather than have them just sit around and watch TV all day, you’ll want to find out whether there’s a senior center or adult daycare facility nearby. Do they drive or will you or another family member have to provide transportation? Are they healthy enough to use public transportation? Are adult daycare facilities available near you? They offer personal care such as exercise and even transportation, and provide cultural activities such as art or photography classes or trips to museums. Likewise, senior centers can provide a great social network and generally are free or have very low annual membership fees. 9. Is your home older-adult-friendly? Can you make it so? Some fixes are easy and inexpensive — grab bars in the bathroom and nonslip mats under throw rugs, for example. 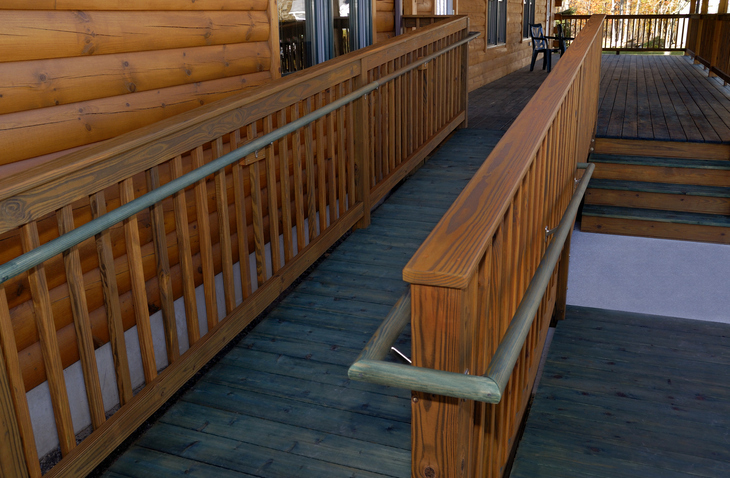 If they’re less mobile and your home has stairs, you may decide to put in a more expensive ramp or stair-lift. And all sorts of devices — from easy-opening door handles to walk-in bathtubs — are available to make their life in your home much more manageable. Sometimes a simple device can make a huge difference. If an older adult’s room isn’t near yours, for example, an audio or video monitor can save you a lot of trips back and forth. (Obviously, you have to consider their need for privacy, so this is something the two of you will need to discuss beforehand.) A two-way walkie-talkie system can help you easily communicate with them anywhere in the house. If you’re going to be out a lot and worry about your loved one being alone, you can sign them up for a personal emergency response system, or PERS. These systems, which work through a console that plugs into your phone line, enable an older adult to summon emergency help with the push of a button. A live operator at an emergency response center will respond to the call, sending a paramedic or ambulance, if necessary, or, if it’s a minor problem, contacting you or a neighbor to check in on them. These systems can be rented on a monthly basis from the American Red Cross (through Lifeline Systems) and from individual providers. They generally cost $25 to $35 a month for the ongoing service, which is available 24/7, 365 days a year. These devices can record a person’s heart rate, blood pressure, and stress level and automatically send a signal to your cell phone or PDA if the measurements get dangerously low or high (from $1,000). If your loved one has Alzheimer’s disease and tends to wander off, you may need either special door locks that will keep doors shut or chimes to alert you to their attempts to leave the house. Window sensors with remote alarms are also available. An older adult may like it a lot warmer than the rest of the family. To keep everyone comfortable and your utility bills under control, it’s best to have a separate thermostat in their bedroom. If that isn’t feasible, a portable space heater may keep them comfortable. Finally, for emotional support, consider bringing some of the older adult’s furniture into your home, like a favorite couch or recliner, if possible. Even if it doesn’t fit with your decor, this touch of home will help them feel more at ease from the beginning. If they have a pet, try to make room for it in your house. Giving up a pet could be very difficult, and having a beloved animal will help lessen the loneliness they may feel while getting used to their new environment. For many of us, belongings that once brought us pleasure now seem like a burden, extra weight we would rather not have. But sorting through a lifetime of accumulations and deciding to part with them is hard. Think of downsizing from a home of decades like losing 100 pounds. You didn’t gain the weight overnight, and you can’t lose it overnight, either. Your belongings are like those pounds. It took years to accumulate them, and sorting through them will take time. Just as each pound, taken individually, doesn’t appear to make a difference, there may not seem to be a lot of improvement from each sorting session. But losing 100 pounds is accomplished by losing one pound one hundred times, and with planning, patience and perseverance, you can get ready to move and maximize your home’s marketability, one bag at a time. Here are some proven tips and techniques that you can begin implementing today, even if your move is years away. Remember that the key to losing 100 pounds is not losing the 100th pound; it’s losing the first one. The key to downsizing is not finishing the process; it’s starting it. 1. Avoid tackling the whole house in one go. Tackle one room or area at a time. About two hours at a stretch is ideal for many older adults, says Margit Novack, president of MovingSolutions in Philadelphia and founding president of the National Association of Senior Move Managers. 3. Use the new space as a guide. Measure exactly how much closet or cabinet space the new place has (assisted living communities will provide this information if you ask) and fill an equivalent amount of space as you sort. Mark off the comparable space. Beware of excessive multiples. In assisted living, your parent only needs one frying pan, one or two sets of sheets, one coffeemaker, one or two coats, and so on. 4. Decide on what “go” means. It may sound silly, but “this goes” can mean you are getting rid of it or taking it with you. To avoid confusion, decide what “go” means and use it consistently. Better yet, use removable color-coded dots to separate what you are keeping and what you are getting rid of. You can find these dots in the school-supply section of your local grocery or drugstore. If you plan on temporarily storing things in trash bags, use clear bags for items being stored and opaque bags for regular trash to avoid confusion down the line. 6. Frame decisions as yes-no questions. “Couching questions for yes-no answers provides the opportunity for the parent to feel successful so you can move on to the next thing,” Novack says. Items that exist in abundance work especially well to presort: clothing, kitchenware, tools, and anything else you know the person has way more of than he or she will have space for. 7. Banish the “maybe” pile. Relocation experts call it the OHIO rule: Only handle it once. The less decisive you are about what to do with an item, the more attached you (or your parent) risk becoming to it, says Nan Hayes of MoveSeniors.com. Moving things in and out of “maybe” piles also takes time. Exception: Save time by boxing piles of paperwork, which doesn’t take much room. Papers are time-consuming to go through and present an unpleasant task for many disorganized people, casting a pall on your packing. 8. Throw a downsizing party. 9. Focus on most-used items (and let the rest go). When facing especially hard choices, ask for the story behind a dubious object — where it came from, when it was last used, whether a young family might put it to good use. This takes time, but the payoff is that once your parent starts talking, he or she may have a clearer perspective and feel more able to let go, Novack says. A kitchen tracker is simply a form that helps you track how often you use certain items in your kitchen. List the items that you don’t use frequently—like the ice bucket, Cuisinart, electric mixer, blender, bundt pan, 30-cup coffee urn, heating tray, turkey roaster, dutch oven…the list could go on, right? Keep the list on your refrigerator. Whenever you use an item on the list, make a checkmark next to it. At the end of six months, look at the items without checkmarks. You may be surprised to find that you don’t use some of those items after all. 11. Pack representative bits of favored items (not the whole kit and kaboodle). Hand of unrecognizable person holding a photo album looking at various black and white pictures of senior couple. Studio shot on wooden background. Photos, memorabilia, and collections typically take up far more space than the average assisted-living quarters can accommodate. 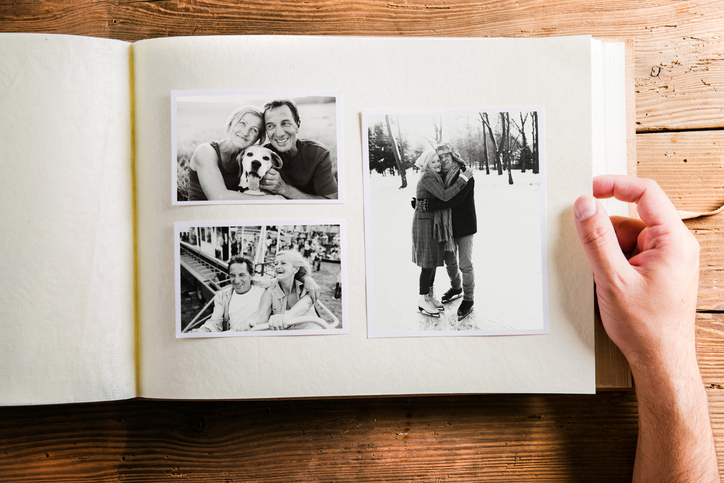 Many services digitize images and papers for you for reasonable prices — sell the idea to your parent that every family member will get a copy, too. Pick key prints to display on the walls; large tabletop displays take up too much precious space. Assure that one or two “best” items can have a highlighted location in the new home. “People sometimes feel OK about giving up the rest if they have a sense of control over the process,” Novack says. 13. Take photos of the rest of a collection and present them in a special book. No, it’s not exactly the same as owning, but it’s a space-saving way for a collector to continue enjoying. 14. If it’s meant to be a gift or legacy, encourage giving it now. 15. Think twice before selling items on your own. Craigslist, eBay, and other self-selling options are time-consuming when you’re trying to process a houseful of goods. Be realistic: “The value of an item isn’t what you paid for it or how well made or special it is — it’s what someone is willing to pay for it,” warns Novack. 16. If there are several items of high value, consider an appraisal. Go through the entire house; the appraiser will only come out once and is more interested in relatively large lots. Auction houses, whose goal is to sell items at the best price, are better options than antique dealers, whose goal is to get items for the lowest price, Novack says. Consignment shops will also sell items, but they tend to cherry-pick and often charge to pick items up. 17. Understand how charities work. The main donation outlets include Goodwill, the Salvation Army, AmVets, and Purple Heart. Depending on your area, popular alternatives may include other charities or a local hospital or PTA thrift shop. 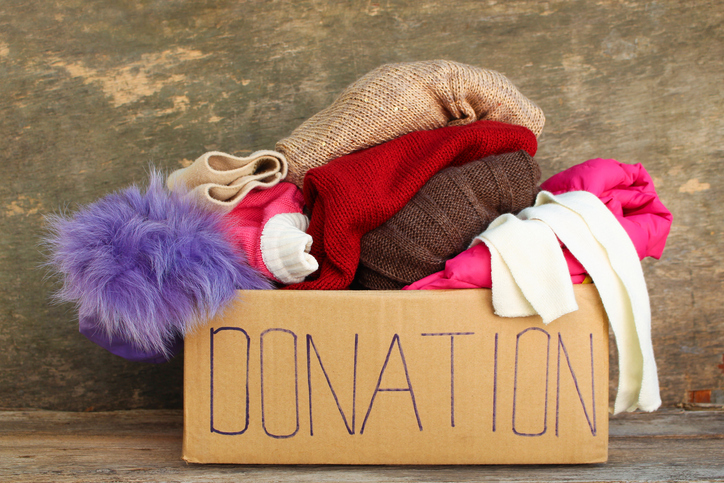 Senior living communities and moving companies often furnish lists of area charities that accept donations. These charities work by selling castoffs; they don’t want (and often won’t take) dregs that are better left to the trash. Some take only furniture; some won’t take clothing. Larger charities tend to accept a wider variety of items. Get a receipt for a tax deduction. Clarify whether they offer free pickup (a huge time-saver). Some charities will remove items from the ground floor only. 18. Target recipients for specialty items. It’s time-consuming to find willing recipients for everything, but it may be worth the effort for items that your parent would be relieved to see in a good home. Examples: Schools may welcome musical instruments, old costumes, or tools. Auto repair shops and community maintenance departments may take tools and yard tools. 19. Try the “free books” tactic. In some areas, “freecyling” is an option. You post an item available for pickup to a membership list, and anyone who wants it can come pick it up from you (or from your curb). More than 5,000 groups make up the Freecycle Network. Like selling items on Craigslist, however, the communications involved can be time-consuming and tedious if your goal is fast disposal of a large number of objects. 20. Weigh your loyalty to recycling against your available time. Avoiding waste is noble, but finding a home for every object can be incredibly time-consuming. “If you recycle the other 364 days of the year, tossing a few things in the interests of time is fine. You have to be pragmatic,” Novack says. 21. For a price, you don’t have to haul it away yourself. The local garbage company may have limits on how many large black trash bags it will take, and not all local dumps take unsorted trash, either. Waste Management’s Bagster is a smaller-scale alternative to a Dumpster, and it doesn’t harm your driveway. Buy one of its large bags at a home-improvement retailer (about $30, depending on pickup location), fill with up to 3,300 pounds of trash, and call to schedule a pickup. Services like 1-800-Got-Junk and 1-800-Junk-USA (which recently merged with the industry’s other biggie, College Hunks Hauling Junk) remove appliances and furniture as well as smaller items. Over the past two decades, increasing attention has been paid to relocation stress syndrome (RSS), which is also known as transfer trauma. RSS is a formal nursing diagnosis characterized by a combination of physiologic and psychologic disturbances that occur as a result of transferring a person from one environment to another. Symptoms of relocation stress syndrome include exhaustion, sleep disturbances, anxiety, grief and loss, depression and disorientation. In seniors, these symptoms are exacerbated by dementia, mild cognitive impairment, poor physical health, frailty, lack of a support system, and sensory impairment. For these seniors in particular, the resulting confusion, depression and agitation have led to increased falls, undesirable weight loss and self-care deficits. Studies have shown that certain actions are successful in minimizing RSS. These actions, which can be undertaken by family members, are all hallmarks of senior move management. Involving the senior in the decision and planning process. Paying attention to details and maintain the senior’s daily routine as much as possible. Involving the senior in setting up the new room or apartment. Helping the resident become acclimated. Senior move managers help plan and manage a move of any distance, such as from a longtime home to a communal living situation. They hire and supervise movers, help sort and pack belongings, and unpack at the new home. Senior move managers don’t just handle the time-consuming (and often backbreaking) logistics; they have expertise in navigating the tricky emotional terrain that’s involved with someone who has accumulated a lifetime of possessions. Caregivers who work or whose older loved ones live far away find such services especially useful. You can also hire a senior move manager to help downsize possessions if a loved one is moving in with you (or vice versa) to accommodate multiple generations under one roof. They’re especially useful for those who have decades’ worth of accumulated belongings, whose health is frail, or who don’t have adult children nearby. Prices vary widely. Some senior move managers charge by the hour (usually $25 to $75, depending on the region) or by the job; a full-service move can cost as much as $2,500.Visit the National Association of Senior Move Managers to find a move manager near you.